A Learning Management System (LMS) collects an enormous amount of data that can be used to understand your learners’ behaviors, preferences, successes, and failures. The use of this data is called learning analytics, and it provides actionable intelligence for both you and your learners to improve your course design. While learning analytics can involve high degrees of complexity and a steep learning curve, there are certain simple strategies which can be included in any course to leverage the power of data in these courses. collecting assessment data: by integrating regular assessments into your course, (e.g. on a weekly basis, or after every sub-module) you can quickly gauge whether the class has understood the subject. You can also use this technique to identify lower-performing students and design appropriate interventions. collecting participation data: learning analytics can tell you the amount of time students spend inside the LMS, their level of forum activity, and a host of other participatory statistics. This can be used to distinguish the most enthusiastic students from those skipping class. collecting quality data: information from assessment, forum posts, quality questionnaires as well as support questions received can be used to understand which parts of an online course are best understood and which need revision for the next round. This article shows how to use learning analytics to gain a wide array of insights to help you improve the effectiveness of your training programs. According to John Vivolo, director of online and virtual learning for New York University, every faculty member can learn to use the course analytics available through their LMS to improve student learning, even without big-data and/or mathematical knowledge. His approach is described here, with accompanying slides available here. There are a host of different tools and approaches to integrating and using learning analytics. This wiki page from the University of Geneva provides an extensive list..
Make a list of all information generated by your course – this includes administrative data, assignments and course-work from students, evaluation data, and statistics from the learning management system. Streamline this list of information into a list of indicators you have access to. Each indicator is a quantitative data-point for which you have information for all students. student progression through the course? student performance in the course? student experience of the course (quality of the course)? Now that you have a clear idea of useful indicators, make a plan on which indicators you will use to track student progression, performance and experience. Specifically you should consider when you will collect this data, when you will analyse it, and what range of actions you will take after analysis, such as supporting non-performing students. 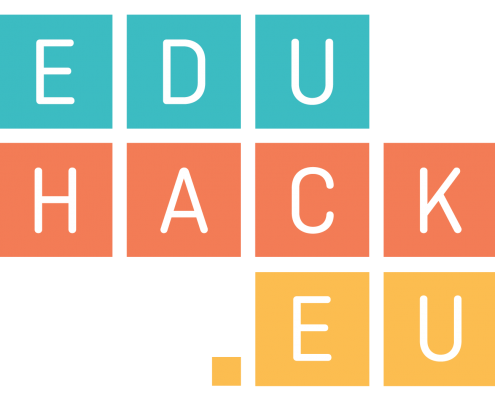 Share your plan and indicators, as well as any thought on using learning analytics in your teaching, with a post in your own blog or the EduHack Wall. A wide range of MOOCs deal specifically with Learning Analytics. View the ones starting soon at EdX. ICDE collates a large database of reports, journals and books on learning analytics.